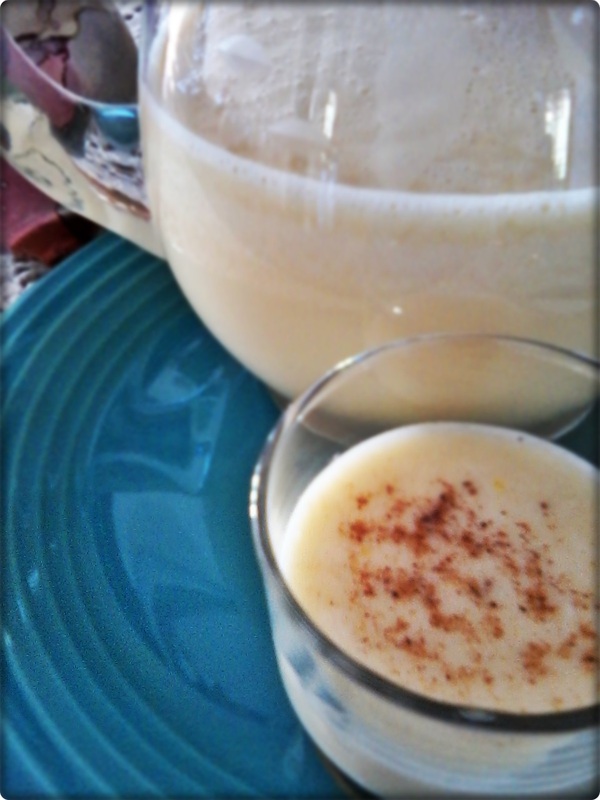 My sis is coming to visit a few days and we both love eggnog, so I whipped up this very easy nog. Yummy! 5. Continuously whisk while it heats up. You want to get the mixture to about 150 to 160 degrees Fahrenheit. the mixture until you start to see a little steam, then give it another 30 to 60 seconds to cook while whisking. You will notice that it thickens a bit and becomes smooth. It will take about 5 minutes. vanilla extract. (you may add a little nutmeg at this point if desired) Stir well. 8. When ready to serve, stir or shake the eggnog, pour into serving glasses. Dust with nutmeg. 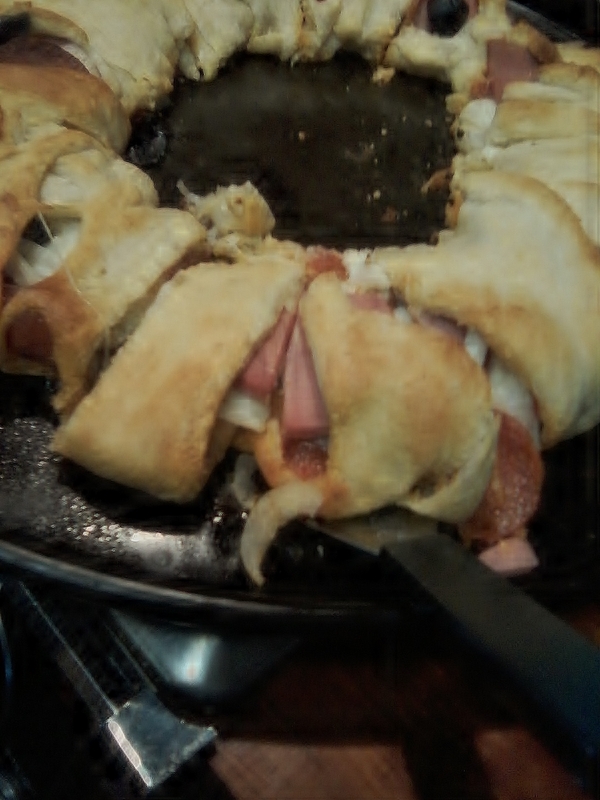 Did this Pillsbury Crescent Ring for the Patriots game last night. Go Patriots! Really easy and good although I substituted off brand rolls, mozzarella, bologna instead of capocollo, and my own peppers from our garden. Also added onion. You could do this many different ways. Spread roasted red bell peppers towards center of ring on bottom halves of rectangles. Top with half of the cheese. Layer salami, ham and capocollo slices over cheese. Arrange pepper rings over top. 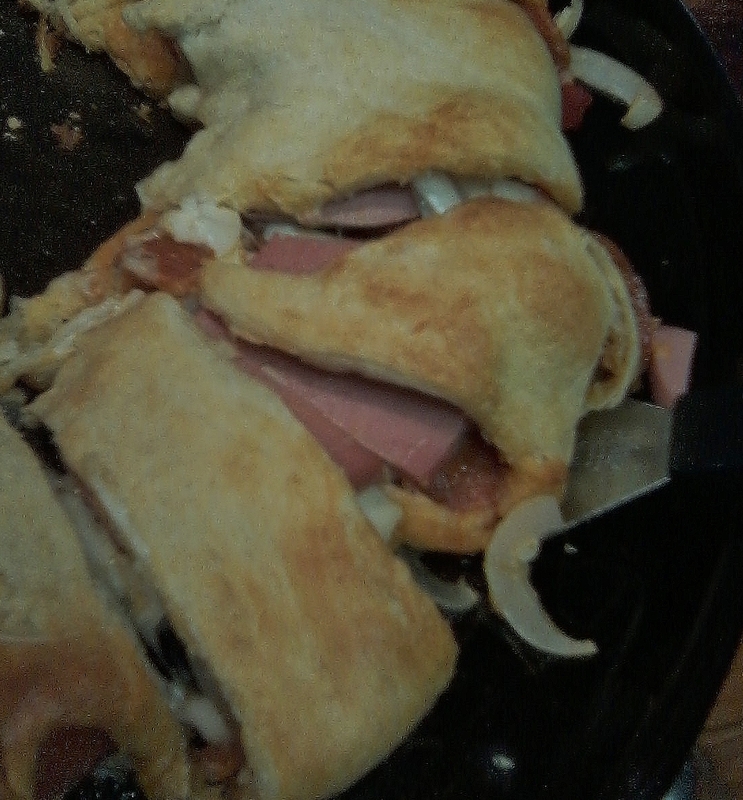 Cover with remaining half of cheese. Bring each dough rectangle hanging over side of pan up over stacked filling, tucking dough under bottom layer of dough to secure it. Repeat around sandwich until entire filling is enclosed (some filling might show a little but that is okay.) Sprinkle with black pepper. If you don’t like it spicy, switch out the deli meats for a milder flavor, and swap in some ripe olives instead of the hot pepper rings. This link will show you how to put it together. Have fun!